Americans celebrated the Labor Day holiday this past weekend. Originally intended to honor the hard work of “laborers” and the contributions that they have made to the success of our nation, the holiday and corresponding 3-day weekend has become the unofficial end of the American summer. For many, that means closing down the lake house, one last weekend of golf or a final trip to the beach. For others, (like yours truly), it is an opportunity to actually labor for the entire weekend in order to try and finish up all the Do-It-Yourself projects that did not get completed during the summer months. This year I have been working on landscaping projects in my backyard. Trying to turn a half-acre of weeds and mud into something a little more presentable and usable. As you might imagine, I have used lots of different tools while working on this project. Shovels, rakes, drills, saws, etc. I learned early on in life that it is important to use the right tool for the job, so no screwdriver when you should use a chisel, no trying to use your garden shears to try and pull out a nail when you should just use a hammer. Another thing that I have learned is to also keep your tools clean and sharp and ready to use. One of the easiest ways to get hurt is to use a dull or rusty blade that is not fit for purpose. During this past weekend, it struck me how many different saws that I used for different purposes. Reciprocating and circular power saws, crosscut and rip hand saws, a pruning saw, even a double-edged pull saw. Each of these saws has unique features and functions that are used to address specific job requirements. I can tell you from firsthand experience that it is much faster and more accurate to use a full-size power saw to cut through landscaping timbers than to try and brute force your way through the task with even the sharpest handsaw. Using the handsaw may be good exercise, but it not very accurate and takes way too much time and effort. I have even more saws that did not get used on the current project. Hacksaws bow saws, miter saws, a table saw. All kept clean and sharp and ready to use at the right place and time. In addition to their unique attributes for cutting something, e.g. wood, tile, plastic or metal, several of the saws have special guides and stops to help ensure that you can make the same clean and straight cuts over and over again. 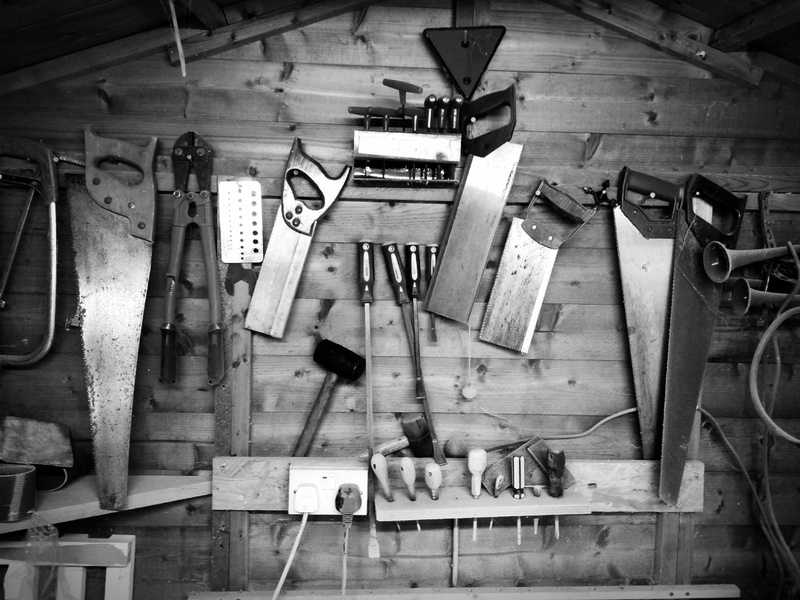 The mind tends to wander during those long, hot hours in the yard and I got to thinking about how some of the concepts that apply to the tools in my home shop apply to the tools we use at work. What happens when you have 7,000 unopened e-mails in your mailbox? You fail to respond to important items and miss opportunities. What happens when you stuff every incoming Word document, presentation, product brochure and miscellaneous PDFs into the same electronic file folder, so you can “get to it later?” You can’t find anything. What happens when you use spreadsheets and post-it notes to manage you payment testing efforts? You spend too much time on simple/repetitive tasks, make mistakes and fail to test everything that should be tested. Do the right thing. Invest in tools that are fit for purpose that allow you to test faster, more completely and more accurately with less effort. Check out our solution pages to let us know how we can help you. And don’t forget to wear your safety gear.